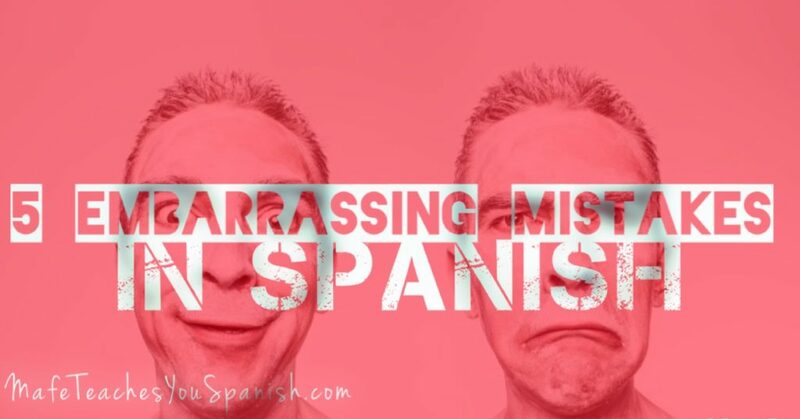 We all make mistakes when we are learning a new language, that’s a given. Some of them are just regular mistakes, and some of them are hilarious. I have been teaching Spanish for 4 years already, and I have seen these over and over again. And even though making mistakes is completely ok, sometimes it would be nice if someone tells us in advance about these embarrassing and funny mistakes and saves us from some embarrassing situations.